FORMER Donegal TDs and senators are pocketing more than €400k between them in pensions, a newspaper reports today. An investigation by the Irish Independent shows that two Fianna Fail members are receiving the most – with current MEP Pat The Cope Gallagher taking in more than €70k in an annual pension with Dr Jim McDaid receiving more than €97k! are paid a combined total of just over €404,000 in pension payments. Former Tanaiste Mary Coughlan pockets €49k – and will get more when she is eligible for a ministerial pension. However former Donegal North East Fianna Fail Deputies Cecilia Keavney and Niall Blaney are not yet eligible yet for pensions because of their age. The lowest pensions paid to former Donegal TDs are going toThomas Gildea at just over €12,000 and Harry Blaney at just over €14,000. 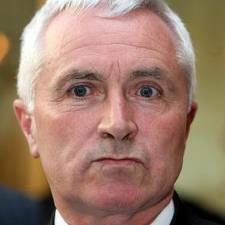 Three former Donegal senators in Donegal also get pensions – Bernard Mc Glinchey receives €37k, Enda Bonner receives just over €8k and Sean Maloney receives just under €8k.